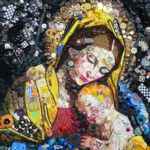 Reusing “junk” for art has been a reused concept in itself for quite some time, more markedly since the early 20th century with leading artists Pablo Picasso and Marcel Duchamp, among others, as its innovators. 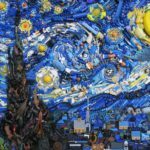 Seeing that environmental matters have become more critical in recent years, many artists feel increasingly compelled to use recycled materials as a thoughtful medium of choice. 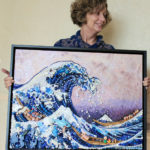 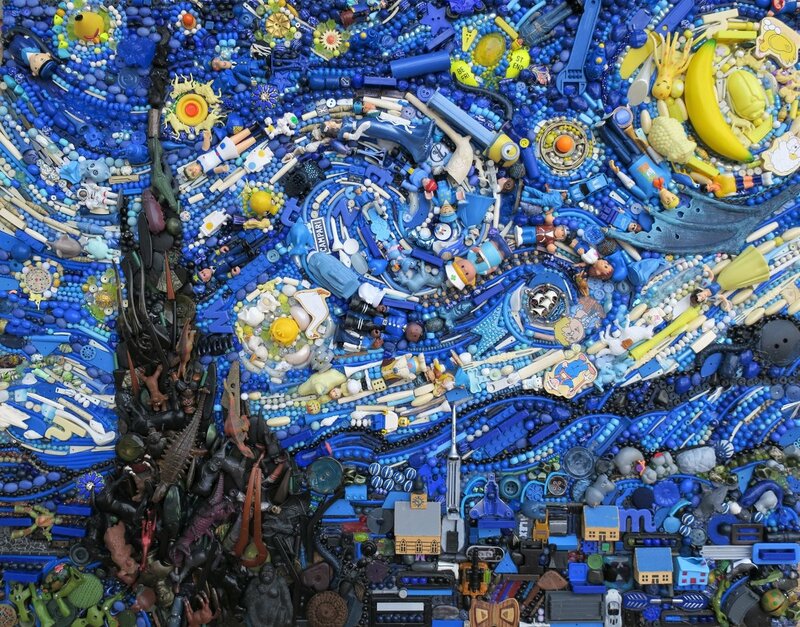 British artist Jane Perkins rescues predominantly plastic items that would likely be destined for a landfill or become the scourge of marine life. 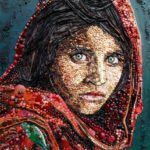 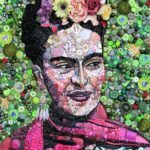 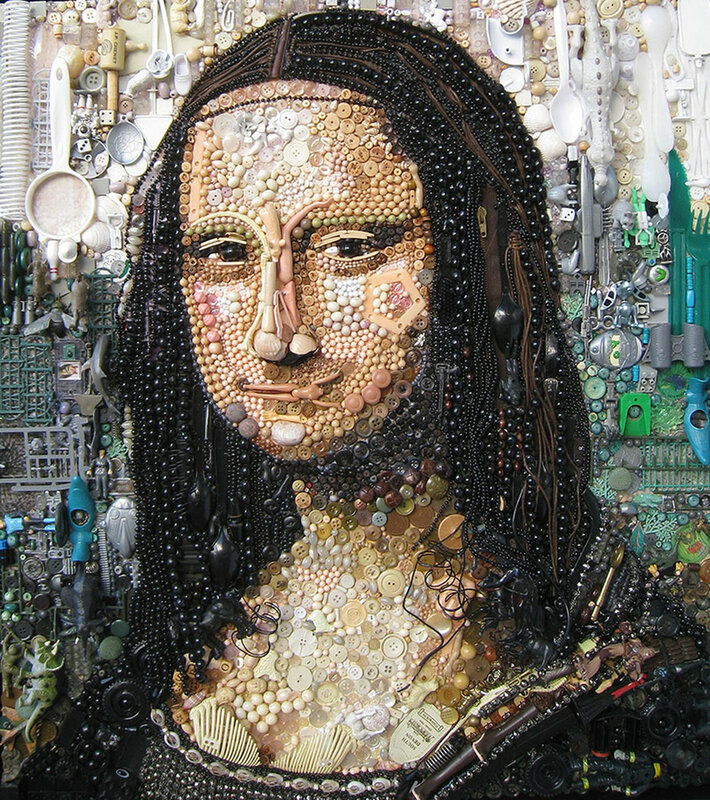 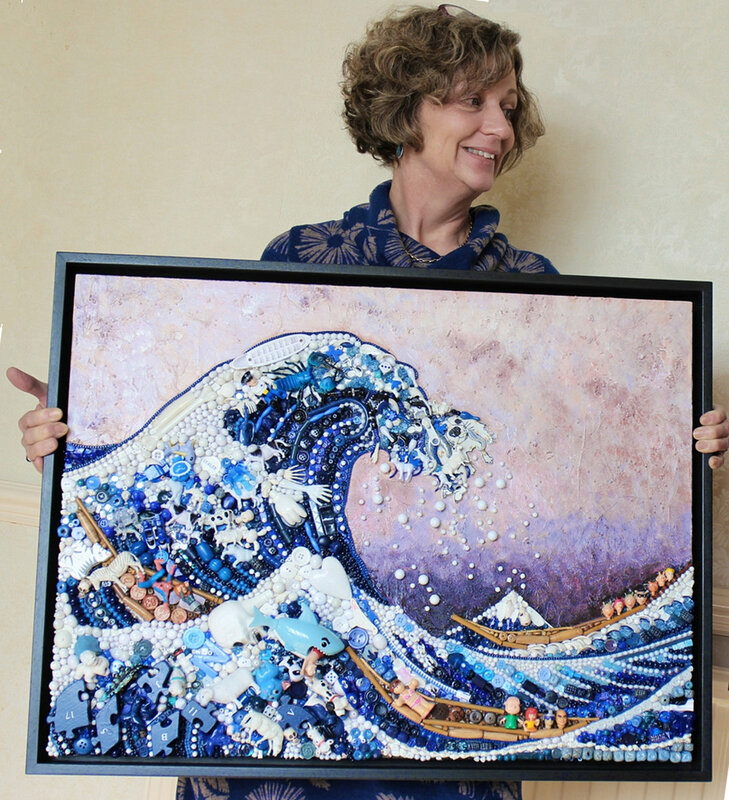 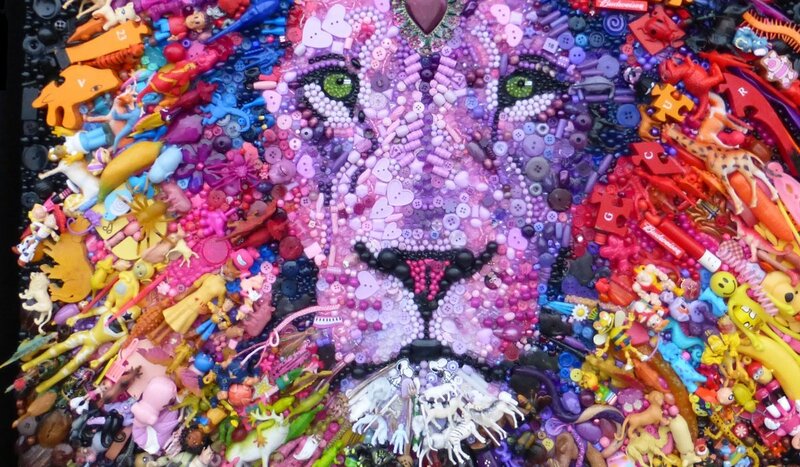 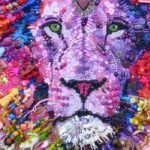 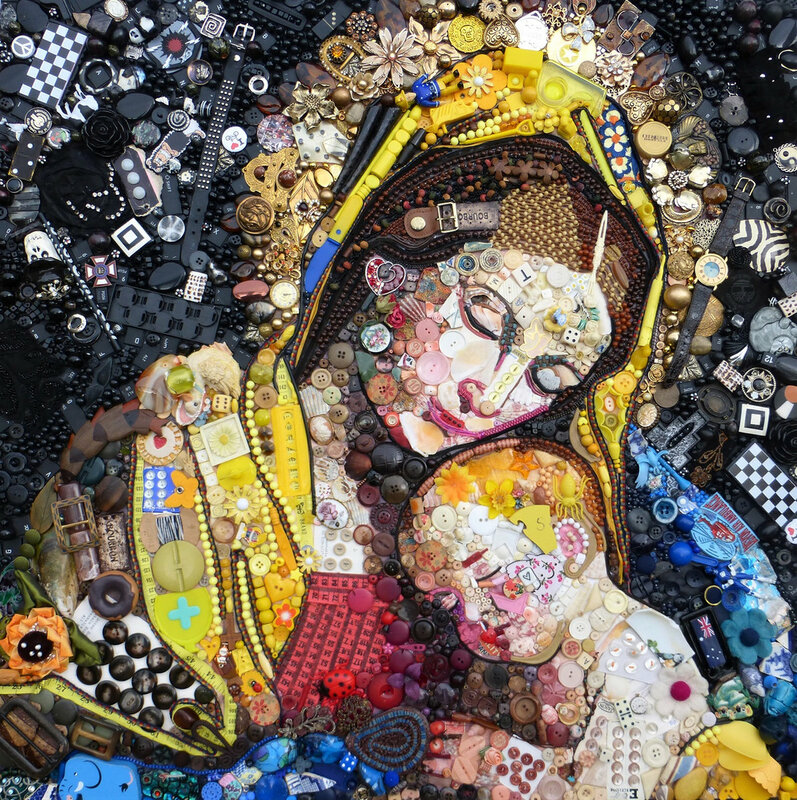 She extends the lifespan of ordinary discarded objects by repurposing them as art material, skillfully determining their placement in a composition according to color, shape, texture and size. 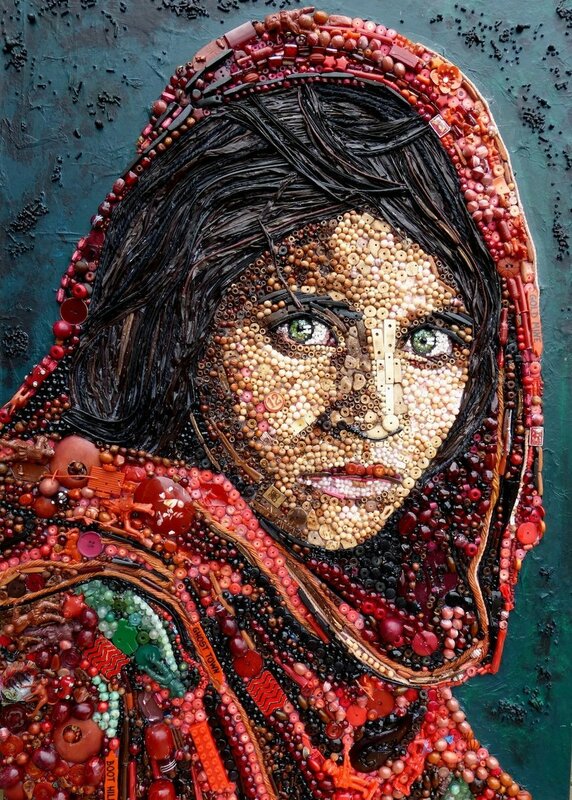 Astonishingly, she does not paint or alter them in any way for the benefit of her creations. 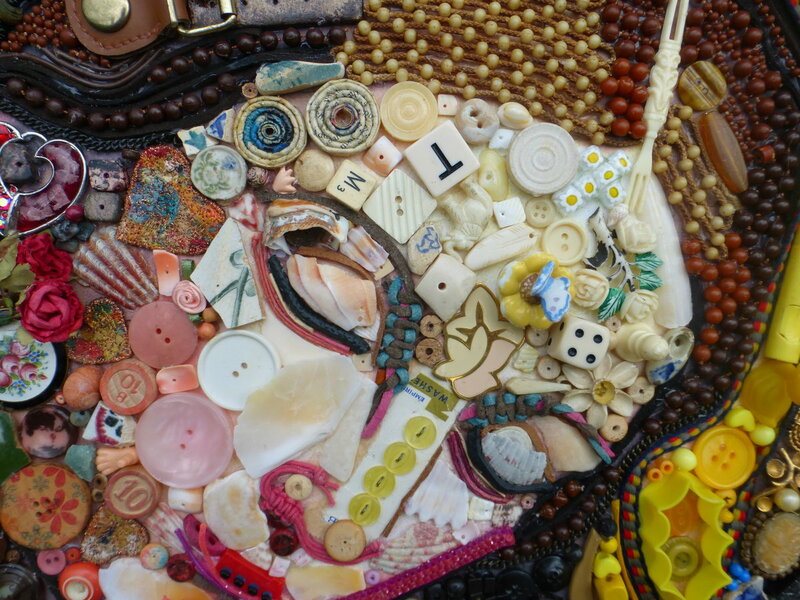 That approach to art-making is painstakingly patient and worthy of admiration, as well as bewilderment. 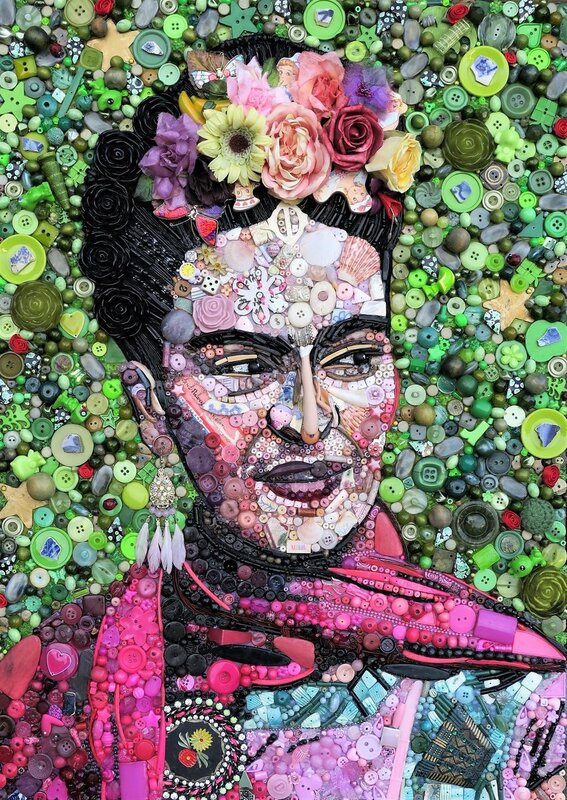 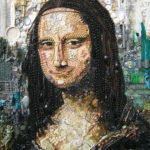 Along with original works, her reinterpretations of famous masterpieces—which, come to think of it, are intrinsically recycled artworks themselves—may appear simple and recognizable from afar, but up-close they are exceedingly complex, unexpected and often quirky and amusing, demonstrating her command of the “assemblage” technique, where three-dimensional found objects are creatively up-cycled into a work of art. 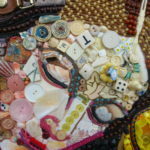 To see more of her amazing work, visit BlueBowerbird.co.uk.